A wedding anniversary is a special event, whether it’s the first or the forty-first. Each milestone is marked by celebration. There is a precious stone or metal for each year too. The thirtieth anniversary is truly special. The traditional gift is the pearl. It symbolises endurance and the ability to handle tough situations. 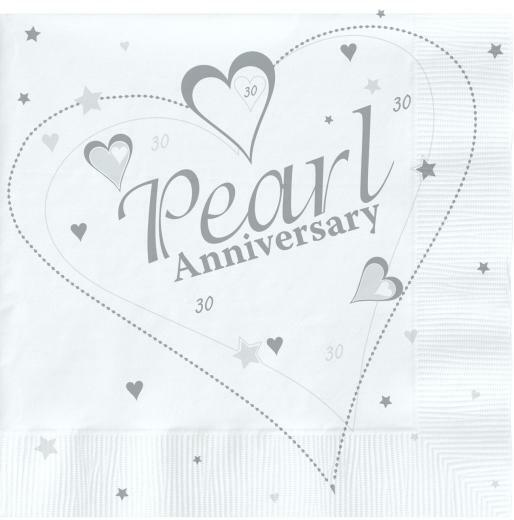 While the modern twist is the diamond, the pearl has stood the test of time for the 30th anniversary gift. If you think about it, the pearl and the 30th anniversary are a match made in heaven. It’s not so young as 25, not as old as 50. But thirty has a heft to it. It’s indicative of a long life lived together; chances are there have been ups and downs. Childbirth, children leaving home for college, illnesses, a death in the family, perhaps even a move or two. What better way to mark this journey than to choose a classical precious substance? The pearl fits the bill perfectly. It’s hardy, gorgeous, classic in design and comes in many colours- a description that can fit a thirty year old marriage as well! Not many things say I care about you as much as jewellery does. Think about a lovely infinite pearl and diamond pendant. This is a combination of both the stones associated with the anniversary. Choose either a silver or gold chain to string this on. Witness the joy on her face as she celebrates this thoughtful gift. If you’d like to go with a more traditional approach, then a single freshwater pearl pendant could be your choice or a pearl necklace. If she’s fond of dark colours, do think of the South Sea pearls- they come in bright colours and are a statement of great luxury. A pearl choker is a great addition to a wardrobe. She can wear it with modern and traditional clothes with equal aplomb. A pearl bracelet or a watch with a mother of pearl inlay is another popular choice. Pearl earrings, a gold ring with pearls and some other stone are great too. As you can see, pearl lends itself to jewellery in many ways. The simplest gift for a man is pearl cufflinks. It goes to follow that there must be tie clips too, with pearl. In fact, a mother of pearl cufflinks set will be a fabulous choice. An old fashioned letter opener is a quirky choice. It may be used sparingly but it will look stylish on the office table. If the couple is a religious type, then pearl rosaries, figurines or candles will be well received. There are many items that can be used in the house made from pearl. Photo frames, fruit dishes, serving bowls are good choices. Pearls aren’t inexpensive and that can be a constraint. In such a situation, think about cultured pearls, rather than natural pearls. They are not so expensive. Also, when you buy items with pearl accents, they will fit in your budget too and make for a thoughtful memorable gift. To read more on topics like this, check out the fashion category.